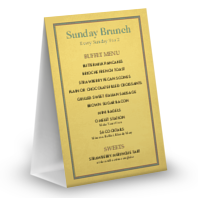 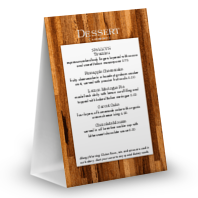 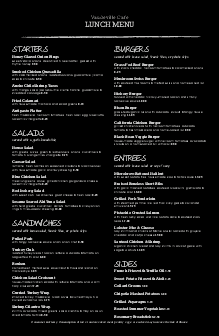 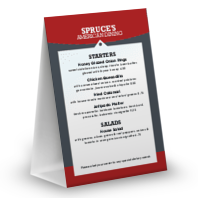 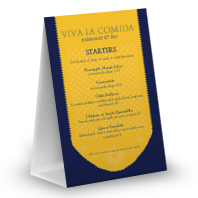 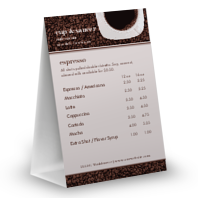 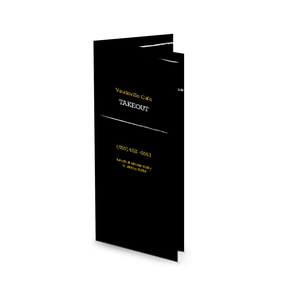 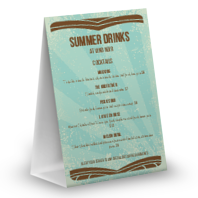 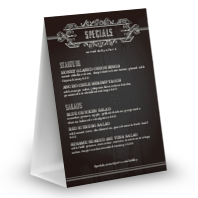 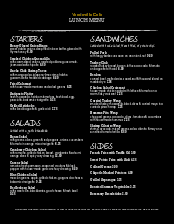 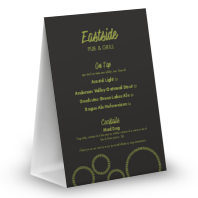 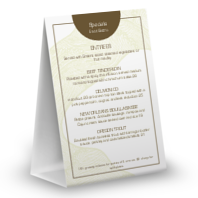 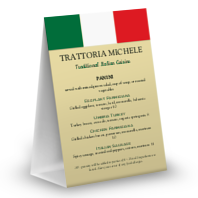 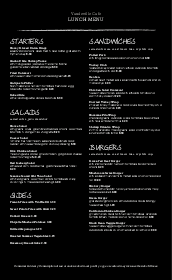 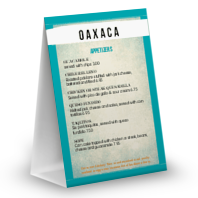 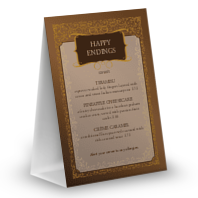 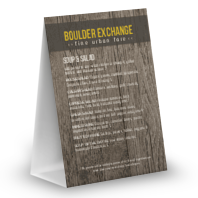 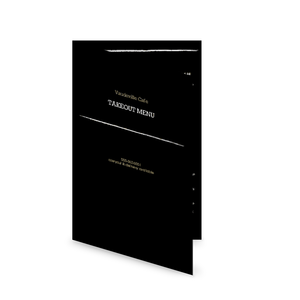 A Chalkboard-style table tent menu for a casual restaurant. 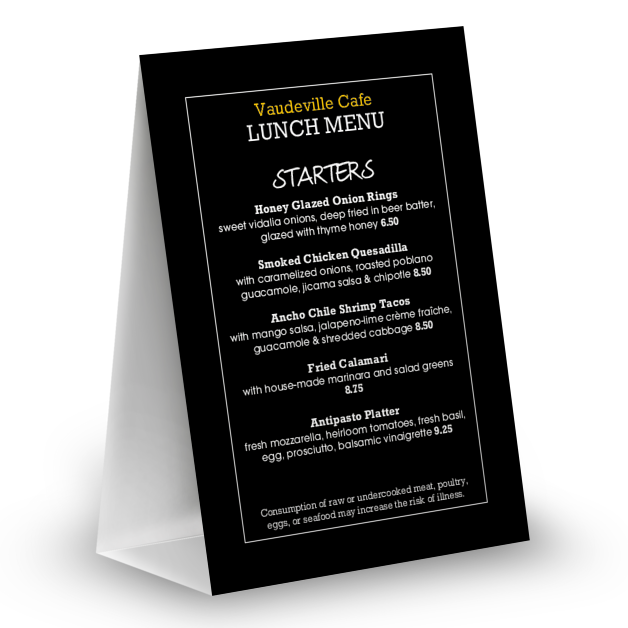 White handwritten headers stand out against a black background. Customize with bar specials, happy hour, dessert, or dinner specials.